It’s about that time where my June/July Runnerbox has arrived! It is a boxed filled with runner’s favorites. Runnerbox does all the work and finds the best and latest “must haves” for runners. They test it and approved it and send it to you! How awesome is that! I hated when I had to go to the running store and read labels endlessly in search of the perfect things to use for running. Luckily, I don’t have to anymore because this beauty arrives at my house every other month full of surprises. Again, you never know what you will get in each box, but in each one I have found a favorite that I now purchase for my training. 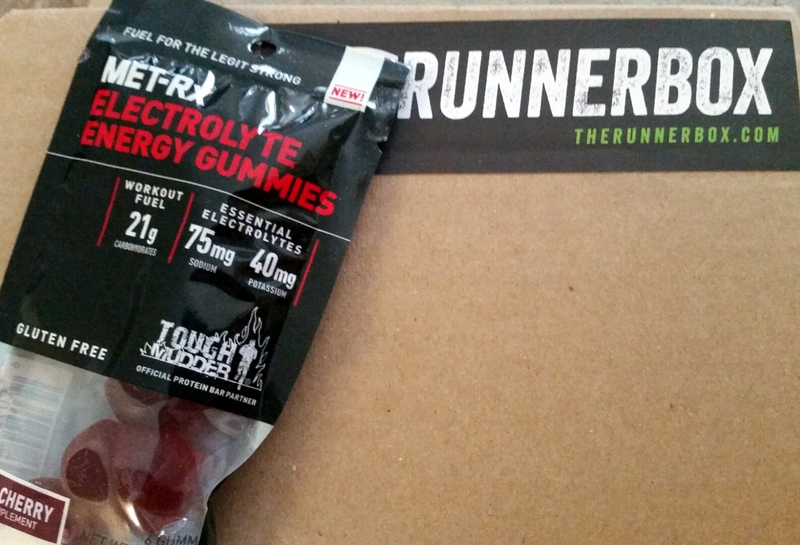 In this Runnerbox, there are lots of great goodies that I have yet to try…. I have already eaten the Simply 7 Quinoa chips! Yes they were good! They have been officially added to my grocery list! There is also a sample of Tiger Balm pain relieving patch and a sample of perform. The perform gel I have used before and works great. It’s the same people behind that infamous biofreeze. There is also an Ally’s Bar which are great and some Bear Naked caramel apple granola blend, among other great healthy snacks. There is also a pack of MET-Rx electrolyte energy gummies that I’ve yet to try but like what is has. Have you tried it before? There is just too much goodness to list them all but you’ll appreciate this Runnerbox. Get yours today and feel free to use my discount code: RURUNRB. 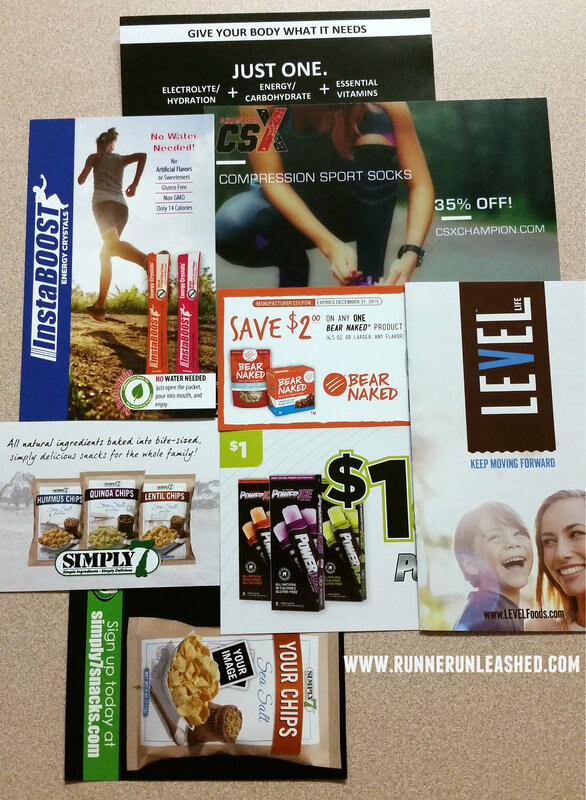 Another great thing about Runnerboxes is that they are also filled with coupons and special offers that are only available to Runnerbox subscribers. You’ll get special discounts, some times free offers, and special pricing for large packs. You know how expensive our running favorites can cost so why not get discounts and find other favorites at the same time? Make sure you check them out. You can gift someone a one time Runnerbox or get a monthly subscription for yourself. The subscription boxes highlight different affiliates each bi-monthly cycle, but the gift boxes are filled our past favorites. They also have Limited Edition boxes that are featured for some holidays, or specific event. Oh there is a box for cyclists, and triathletes too!